The Problem with Experts...is that they are often expected to answer complex nuanced questions with simple short answers. We drive this by our insistence on listening and responding to sound bites. Where it fails us is when it limits discussion and closes the door to further learning opportunities and potential solutions. The answer to the question why does stocking stitch roll, is often "it's just the nature of the fabric". Last week in my interview with Nathalie Vasilieva she spoke about this indirectly. It was such an interesting response to the question below that I wanted to draw your attention to it again. 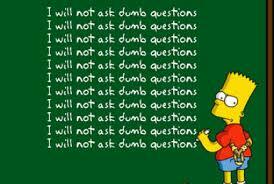 Let's all keep asking the dumb questions, they can lead to the biggest breakthroughs of understanding.